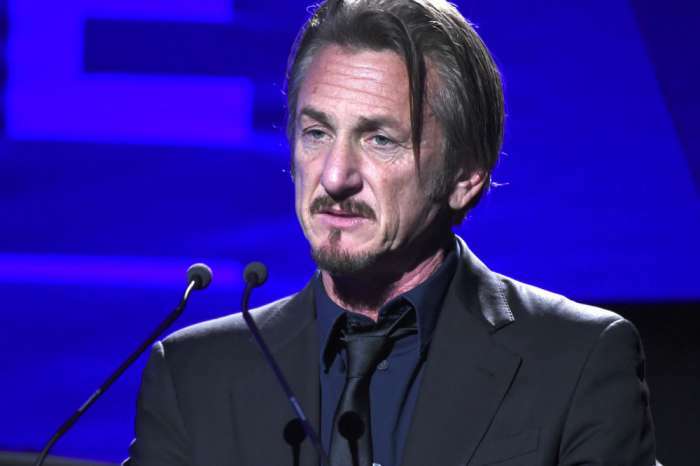 Sean Penn made an appearance on The Late Show with Stephen Colbert recently and his time on set made everyone think he was a little bit too “calm” and “sedated.” In fact, some believe his vibe and chainsmoking was downright strange. On Monday, the actor sat down with Colbert and admitted he was still reeling from the effects of a sedative he took on a recent flight. The Milk star told the host that he and the rest of the audience “inherited” the remnants of the Ambien he ingested the previous night so he could sleep. If you’ve ever taken a Red Eye before, you’ll know it’s not always easy to get a good night’s sleep. Colbert asked him if he was still “riding the Ambien train,” and the Academy Award-winner told the host that he was, “a little bit.” Penn went on to pull a cigarette and a lighter out of his pocket and started to smoke right there. Colbert then told the actor that he wished Penn “wouldn’t smoke” anymore, even though he was kind of accustomed to it because his parents smoked. Stephen stated that he and the rest of the crowd want Penn to stick around for as long as possible, so it would be best to kick the habit. Penn joked that he is merely contributing to “job security for oncologists.” As for what the award-winner has been up to lately, in the recent past, Sean admitted he isn’t overly fond of acting anymore. The actor said he doesn’t enjoy working with other people as much as he used to. “And I increasingly don’t play well with others,” and due to that reason, it’s no longer enjoyable. In addition to being a political activist, Penn has become a writer, and is currently promoting his latest book, Bob; Honey Who Just Do Stuff: A Novel. Perhaps, Sean has become more impatient with age and needs a more solitary hobby? Who Is Paying For Meghan Markle's Designer Clothes Now That She Is Engaged With Prince Harry?